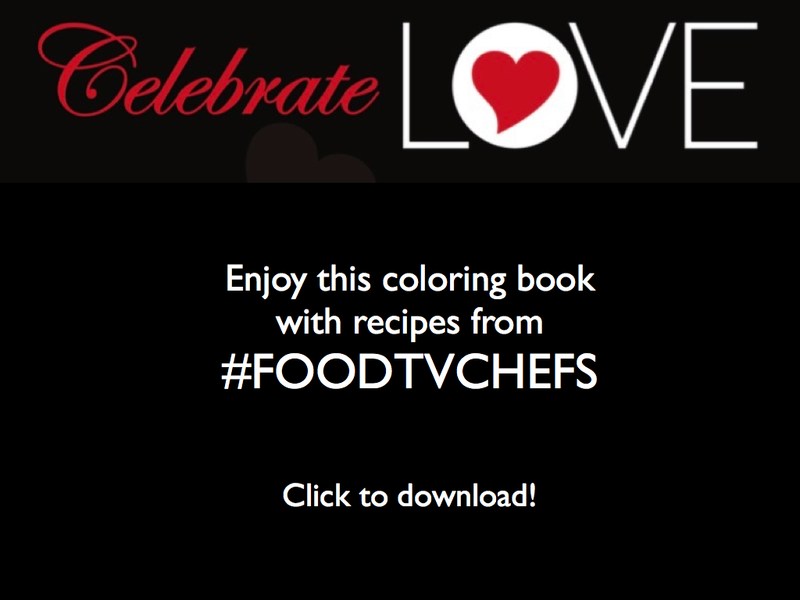 For ‘just a home cook like me’ knives hold a special mystery when it comes to chefs and the art of cooking. Knives are the most important and personal part of a chef”s tool kit. So much so that chefs take their knives with them from job-to-job like a photographer would a camera. With fascination, I’ve watched chefs carefully, lovingly and with respect unwrap their knives from their knife rolls. Let’s call knives the first step in the dance of preparing food. So I get the importance of a good knife. I have a couple of okay knives that look sort of cool and get the job done. Shhh! don’t tell the chefs but more than not I forget to sharpen them and make do with as they are at the moment. The result I admit is a not so even dice. Sigh. 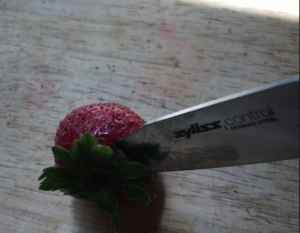 Recently Atlanta Food Bloggers Society presented me with an opportunity to try the Zyliss Control 4.5″ Paring Knife and the Zyliss Control Chef’s 8″ Knife. To be honest, I had never heard of Zyliss but when I learned these knives remain sharp after a dish washer clean up I was excited and curious to test them. Yes! – after at least half dozen dish washer washings the German steel blades remain sharp. And yes – the knives can be resharpened… eventually! It sure seems Zyliss has got these products right especially for the home cook market. Additional features include a safety touch point for more control rocking motion and non-slip points on the contoured handle which by the way is antibacterial. The Zyliss Control Knives come with what appears to be a 5-year Zyliss Guarantee. However, strange as it may sound one of the features I appreciated is the knife tip design. It seemed to me the Zyliss Control Knife has a fine and somewhat elongated tip which makes cutting work easier and more fun. I cut soft strawberries and firm pineapples and grapefruit. The knives worked as well chopping herbs as they did for garlic and cutting raw and cooked proteins like chicken wings and salmon. There is one more benefit. 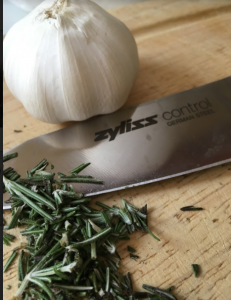 Unlike some knives our professional chef pals may use, which may run into hundreds of dollars, the price points of the Zyliss Control Knife is affordable for most home cooks. As of today the paring knife lists for $16.99 and the chef’s knife is shown at $29.99. If you’re looking for affordable knives that work well, are easy to take care of and just might help you take your cutting skills up a notch (with a more even dice!) put Zyliss Control Knives on your wish list and in your knife roll. The story of the Zyliss company is as interesting as the design of the knives I had the pleasure to test. Zyliss, originally was a Swiss manufacturer found by a bicycle mechanic Karl Zyssett in 1951. In 1985 Diethelm Keller Holding Group purchased the company. In 2001, Zyliss partnered with the innovative design firm IDEO to develop a series of kitchen products. I had the opportunity to participate in an IDEO training session — it was fantastic. Looking forward to more interesting products from Zyliss. 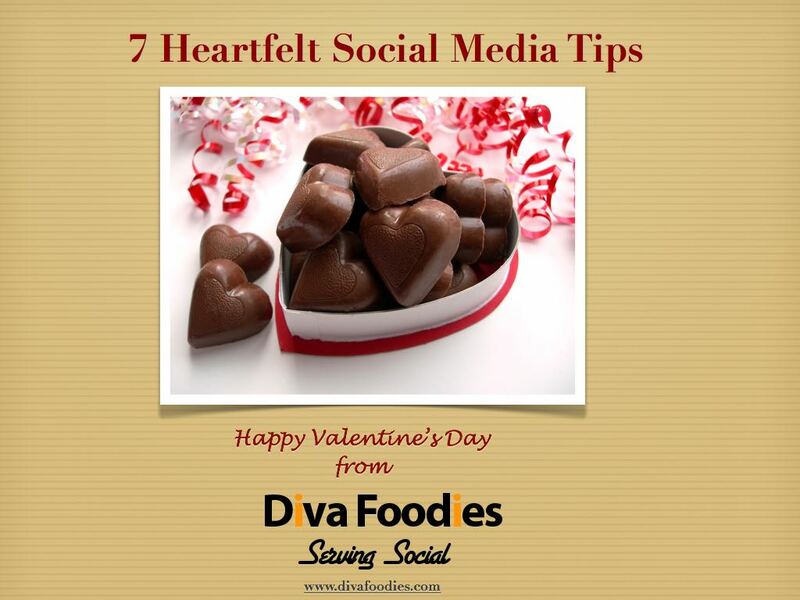 Disclaimer – This review is part f an influencer blogger program sponsored by the Atlanta Food Bloggers’ Society (I am a member), I received no monetary compensation for this review although I did receive two complementary Zyliss Control Knives as noted above. All comments are those of the author.